It's always fun to look back and see what our most popular countertop colors were from the previous year. We have seen a steady increase in Carrara marble over the past 3 years. It was even more popular in 2012. It seemed like we were always doing something out of Carrara last year. Whether it was a kitchen, bath vanity or a fireplace. We also did a lot of other white marbles such as Calacatta and Statuary, but I wouldn't put them in our top 10 sellers like the Carrara is. If you use Carrara (or any marble) you do need to be aware that it will etch. You can read more about etching here. 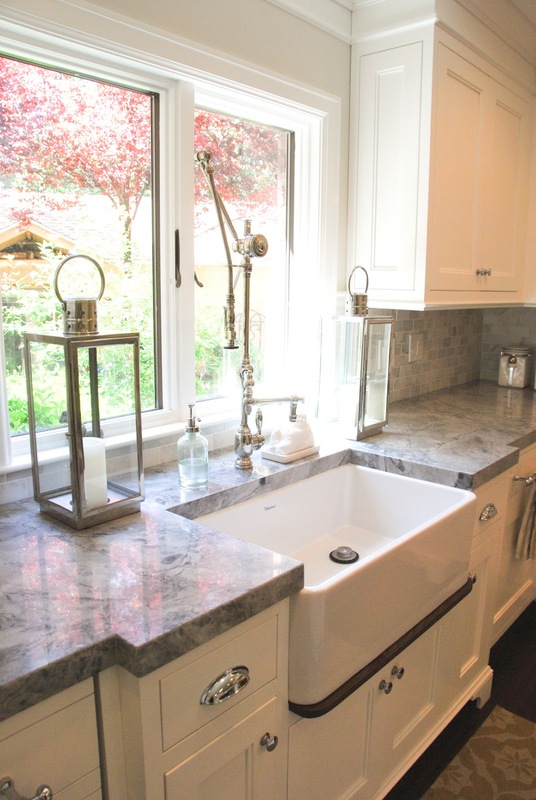 This is one of our favorite Carrara marble kitchens that we did last year. You can read more about it here. Photo: MGS by Design. Giallo Ornamental has been one of our most popular colors for about three years now. Here in Utah the price is really good on it. I've heard in other parts of the country that it can be pretty expensive. The overall reason for it's popularity is that it's neutral and light. 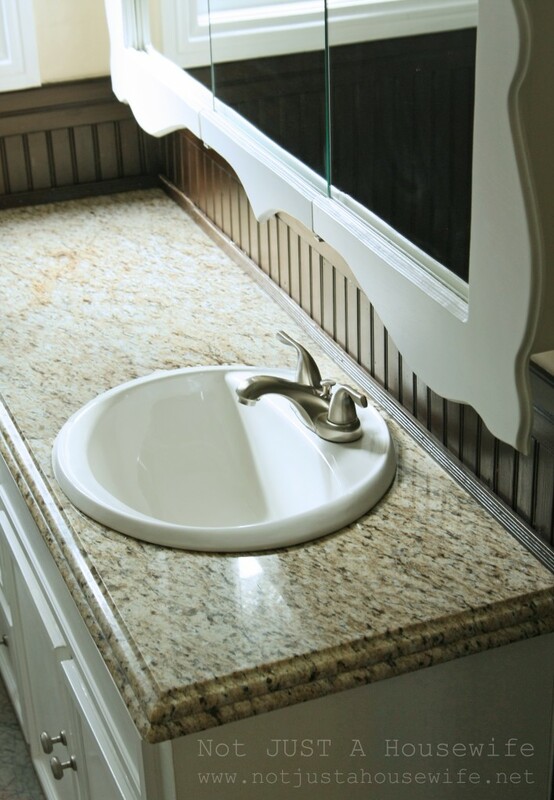 We did this beautiful vanity for Stacy at Not JUST a Housewife last fall. Photo: MGS by Design. Several brands have been popular for us, so I've generalized it to say that White quartz was one of our top 10 most popular countertops last year. 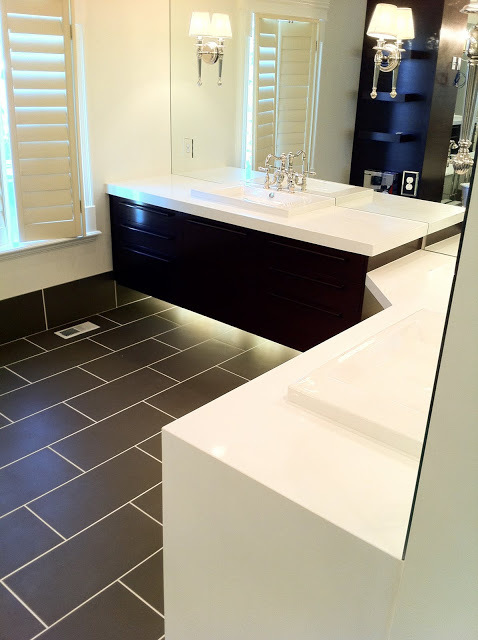 We actually did this amazing bathroom in 2011. 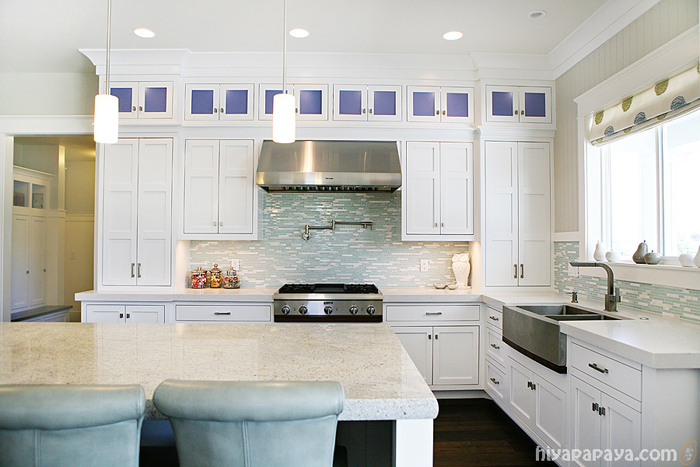 The countertops are Pure White CaesarStone. See more pictures here. Photo: MGS by Design. Kashmire White may just have been our very most popular granite in 2012. The price on it has been fantastic, the slabs are large and the color is the beautiful white and grey that are so popular. It can have a creamy off white color in it as well, which a lot of people really like. I've really liked using this color more and hope that we continue to sell a lot of it in 2013. This is a Parade Home we did last summer. 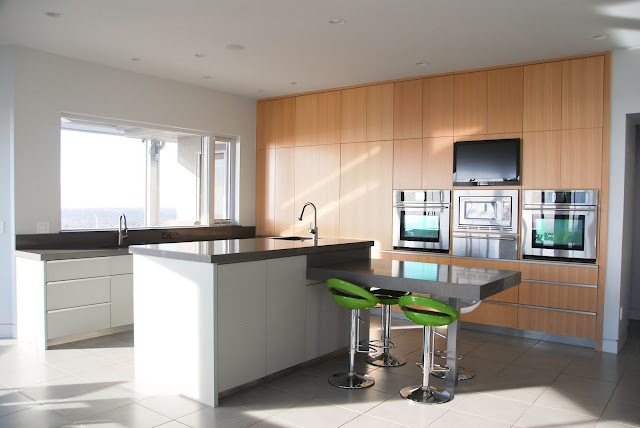 The island is Kashmire White granite and the perimeter counters are Misty Carrera CaesarStone. See more pics of this beautiful home here. Photo: MGS by Design. Just like the white quartz, I'm generalizing again saying Grey quartz. I absolutely loved this contemporary kitchen that we did out of Concrete CaesarStone, you can see more of it here. Photo: MGS by Design. Are you seeing a trend yet? LOTS of white and grey! Super White quartzite is more expensive than marble but it's also much more durable. We used a lot of Super White last year and I expect that we'll being seeing even more of it in 2013. This gorgeous kitchen combined Super White with Carrara marble. See more pics here. Photo: MGS by Design. Notice how there weren't any dark browns, blacks and golds on the list? That's not to say we didn't do these colors last year, but they definitely weren't our top sellers. Crazy how trends change isn't it? What colors did you use last year? Did you expect to see something on our list that wasn't there? This is totally fascinating to me. It seemed like forever all you were seeing was black and dark countertops ... soapstone, absolute black granite, that kind of thing and the lighter countertops were kind of novel. Of course now that I think about it, three years ago when we were thinking about redoing the kitchen (but didn't), I was all set to go with dark gray countertops. 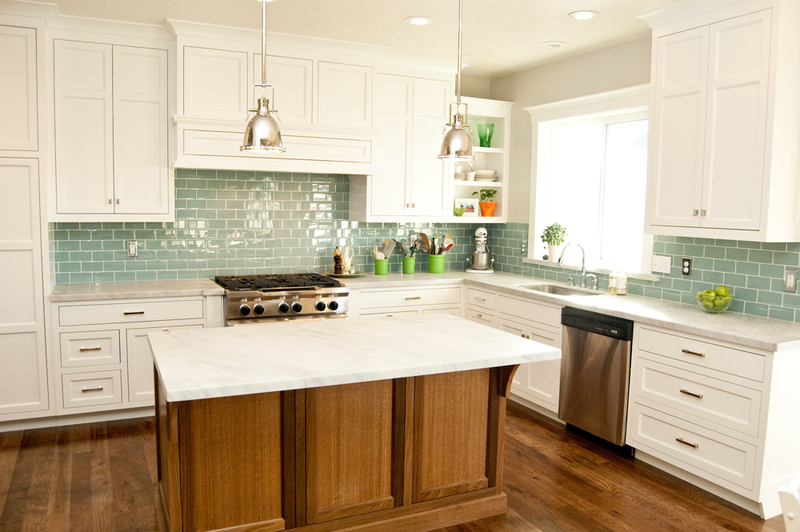 Now that we're looking at really doing the kitchen all I can think of is white countertops. So here's my bold prediction: In two years this list will be full of darks again. I agree Erin. It's my prediction too. I think we'll be tearing out a lot of marble kitchens in 5-10 years when new homeowners come in and don't like the maintenance and/or how the marble has aged. What has the feedback been from the everyday use o Kashmir White granite? I was ready to purchase for my kitchen them got scared after reading reviews saying it was extremely porous and easy to stain. What have you heard? I really want to use it! In regards to staining, I've heard complaints online as well. In real life though I have not had one client complain. Lighter colors are more porous than darker more dense granites...but they shouldn't be too easy to stain. Make sure your slab has been resined at the factory and that you keep it sealed and you should be just fine.